Throughout the world, stores are filled with crowds of shoppers these final few days before Christmas with many who are eagerly looking for that infamous “last minute gift.” From clothes sizes to favorite colors and the innumerable list of choices, many have their minds preoccupied more on the aesthetics and cost of the gifts while being enamored with their own “wish list” which entails an unending hunger for more “stuff” to add to our already “stuffed lives.” Christmas morning will soon arrive, and despite all the “stuff” which we both exchange and receive, many will be left feeling “incomplete / empty” as if something special were missing. That missing “something” is the true reason for this divine season – the gift of our Savior, Jesus Christ, over 2,000 years ago that established the real meaning and purpose of Christmas – the gift of God’s love for the forgiveness of our sins through virgin birth, crucifixion and resurrection of His Son, Jesus Christ. Although many know of this truth, many will fail to both genuinely understand it and allow it to truly change / transform their lives into His likeness. Reading in one of my devotionals recently, I came across the following illustration of how some in this journey of life truly do understand God’s gift and His call to share in that same giving spirit to others. The devotional “shared a story of a Christian peasant woman living in Africa over fifty years ago. People were bringing gifts as offerings to the Lord at her local church, but she had nothing to bring – or so she thought. When she appeared with a dollar to place on the church altar, the missionary became quite curious of its origin, given her great degree of poverty. As he lovingly spoke with her, he quickly discovered that she had sold herself as a ‘slave’ for life to a nearby plantation – for a dollar!” Although most who read this true story will have their sensibilities shocked in trying to understand this woman’s freewill choice of slavery, we must focus not so much on her act, but on the example of her loving attitude toward her Savior. The divine power of giving as seen by the sacrificial witness of this humble peasant quickly dismisses the misguided focus of “self” which has consumed so many seem in today’s culture, especially during the Christmas season. 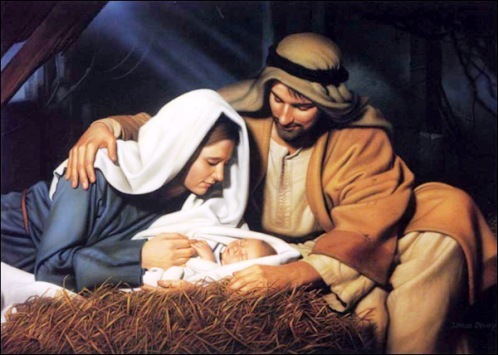 Take just a moment to ponder the giving of oneself to a lifetime of slavery – by choice – out of a love that is clearly boundless and overflowing for the divine gift of that “baby in a manger” (Luke 2:12) over 2,000 years ago – simply incredible! What an expression of a grateful heart for God’s sending of His Son, Jesus, as a gift so that we may have eternal life just as HE declared in John 3:16, “For God loved the world so much that He gave His one and only Son, so that everyone who believes in Him will not perish but have eternal life.” (NLT) The Apostle Paul captured that thankful heart when he penned those celebratory words of joy to the believers at Corinth, “Thanks be to God for His indescribable gift!” (2 Corinthians 9:15) Amy Carmichael, a Christian missionary to India who sacrificially served 55 years on the mission field without a single furlough, once wrote, “One can give without loving, but one cannot love without giving!” Our giving to others of Christ in and through us is never to be limited to this holiday season … it is to be expressed through a lifestyle of giving throughout the year! Many miss this year round spirit of giving because we are blinded by the cost (i.e. the demand of time & ourselves). To that Amy Carmichael wrote, “Satan is so much more in earnest than we are - he buys up the opportunity while we are (left) wondering how much it will cost." 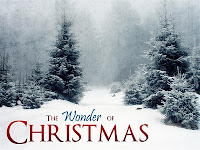 So in these waning hours leading up to this year’s Christmas, I would extend the challenge that we all stop for a few moments and truly reflect upon the gift that makes this season of celebration all possible – the gift of Immanuel (God with us)! Reflect over the words penned by the prophet Isaiah as he spoke of this divine gift even before His arrival in that little town of Bethlehem on that first Christmas night, “For to us a child is born, to us a Son is given, and the government will be on His shoulders. 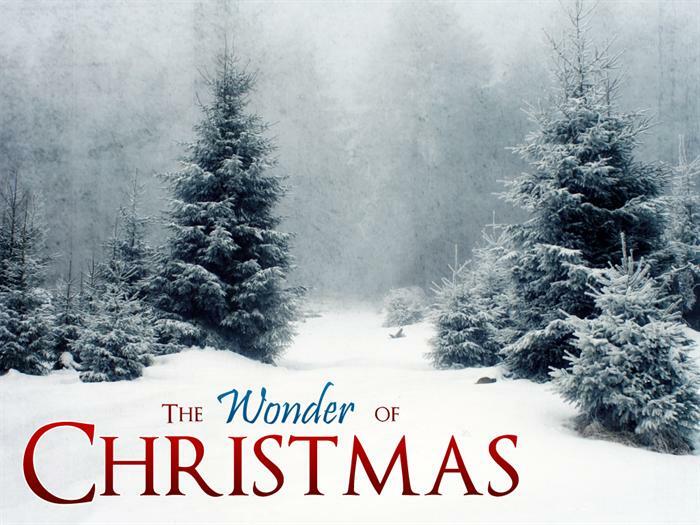 And He will be called Wonderful Counselor, Mighty God, Everlasting Father, Prince of Peace. Of the greatness of his government and peace there will be no end. He will reign on David’s throne and over His kingdom, establishing and upholding it with justice and righteousness from that time on and forever.” (Isaiah 9:5-7) Despite the growing number of folks today that seem to have forgotten and/or neglected the true reason for this Christmas season, the blessing for God’s children (His Church) - as seen in their giving to others of His love, His peace and His hope – remains available for us all to share, not just at Christmas, but throughout the New Year to come! So let us resolve in our hearts to “give generously” (Psalms 37:21) to one another as we celebrate the divine gift of love seen in that precious baby lying in a manger on that first Christmas night! …Selah!